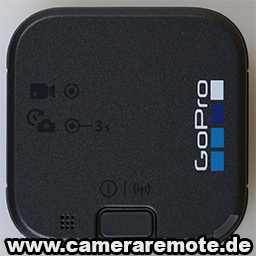 This tutorial shows how you can connect a GoPro Hero 5 Session camera over Wifi. 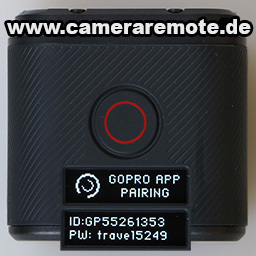 First, shortly press the button on the back side of the GoPro camera. 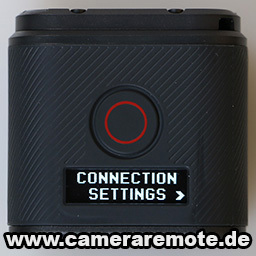 The camera will power on after a few seconds. Press the button on the back again a few times until you reach the CONNECTION SETTINGS menu. Then press the button with the red circle. Then press the red button again. 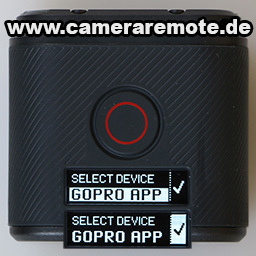 Then select the check mark next to GOPRO APP with the button on the camera back. 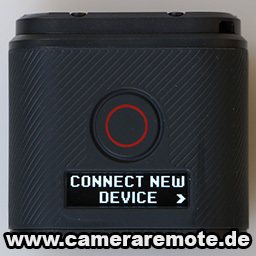 Now you can use the Camera Remote app for pairing the camera using the Wifi information displayed on the LCD screen.